A compromise agreement, now called a Settlement Agreement, is a legally binding agreement between an employer and employee that settles a dispute between them. Agreements between employers and employees to settle disputes about employees’ statutory rights will be ineffective unless a valid compromise agreement is used. They exist to protect employees and to ensure they fully understand their rights before they sign away those rights. Employers who have paid employees not to bring claims, but who failed to use a valid compromise agreement are often surprised when employees are still able to bring various claims against them. The agreement must relate to a “particular complaint” or “particular proceedings”. The employee must have received legal advice from a relevant independent legal adviser. The independent adviser must be insured against the risk of a claim against them by the employee in respect of the advice. 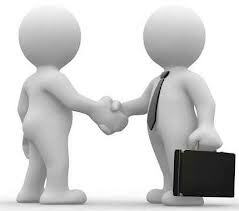 It is important for employers not to simply recycle old agreements or ones that they have been given by a contact. Employment law changes rapidly as does the wording of compromise agreements. It is possible that an out of date agreement may not be effective at all, or that it may not prevent the employee from being able to bring specific claims. Always take legal advice when using a compromise agreement. This is not likely to be expensive but could save a huge amount of time and cost in the long run. This is even more important since the introduction of Settlement Agreements. All negotiations about compromise agreements should be held without prejudice. If communications are without prejudice it means that they cannot be used as evidence by either party should there be any future litigation or if an agreement can’t be reached. The rule is that statements made in a genuine attempt to settle an existing dispute, whether made in writing or verbally may not be put before the court as evidence of admissions against the interest of the party which made them. When negotiating a compromise agreement, the draft agreement and any correspondence about it should be marked “without prejudice” and ideally the agreement itself should contain a clause stating that the agreement is without prejudice until it is signed. “Pre-termination negotiations” means “any offer made or discussions held, before the termination of the employment in question, with a view to it being terminated on terms agreed between the employer and the employee”. There is a huge amount of misunderstanding about the tax treatment of termination payments. Where a payment is made to an employee on the termination of their employment, it is either taxable in the normal way as earnings or, if it not earnings, up to £30,000 may be tax-free. It is important to understand the tax issues with any payment as the employer will usually be responsible for deducting tax and National Insurance and accounting to HMRC for it. If HMRC disagrees with the amount of tax that has been deducted it will generally pursue the employer and not the employee. However, it is standard for compromise agreements to require the employee to pay any future tax that may be demanded. Fox Whitfield is very experienced in dealing with compromise agreements for both employers and employees. For employers we can draft agreements and negotiate the terms on their behalf. For employees who are offered compromise agreements we will give honest advice about the terms offered and work with our clients to achieve the best settlement. As employees must take independent legal advice from a lawyer for it be valid and the employer will normally pay towards the cost of this advice. Wherever possible we try to work within the fees payable by the employer.